Nope, we’re not going Buzzfeed here. In fact, we are highlighting some of the lists you’ll need if you are to open certain restaurant concepts. If you are about to open a restaurant for a very first time, you might want to check out some of these lists. Stuff you’ll need to start your own barbecue heaven. The materials and equipment necessary to start a concession stand. Want to open a Subway, or something like? You’ll need these. Turn down the what, the meats and cheese? You’ll need these equipment for a deli. The bars, the bars, the bars, I live for the bars, bars–get these equipment to open a bar. Live for the gastropub-pub live for the way you’ll need these equipment for a gastropub. I bake it off, bake it off–Cupcakers are gonna cake-cake-cake your way to a bakery with these bakery equipment. So it’s gonna be forever, or it’s gonna go down in caffeine, you can tell me when it’s over, if the high was worth the brew. The equipment you’ll need to open a cafe. Like a food truck….OOOOOHHHHHH like a food truck! You’ll need these equipment at a minimum if you want to start a food truck. Here’s a story, of a little restaurant..who’s bringing up very American traditions. All of them had a hair of fried oil, like their mother, the youngest one in peanut oils…blahblahblah Traditional Food Bunch! If you’re going to open a restaurant focused on traditional American food, get these equipment. Oppa vegan style! (Dance, dance, dance, dance, dance, dance) Oppa vegan style! Get these equipment if you want to open a vegan restaurant. Let it go! Let it go! A Big Mac is worth waiting for!–Here’s the equipment you’ll need to open a McDonald’s. When the spaghetti sauce hits your eye like a big cannoli pie, that’s what? Get these equipment to open an Italian restaurant. It’s all about that par, ’bout that par, no trouble.–The equipment you’ll need or a golf course clubhouse. Why you gotta be so rude? Don’t you know I also teach daycare, too? The equipment for a daycare. 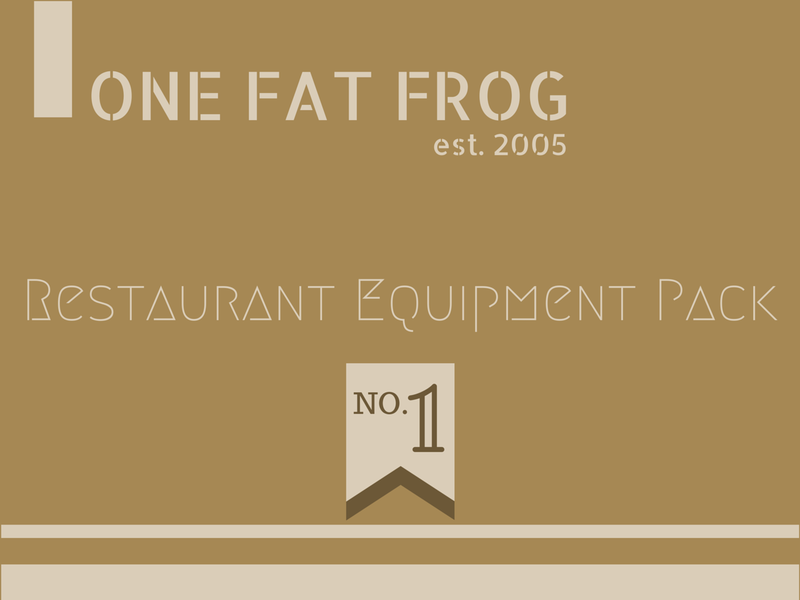 Running out of song-related puns, here’s (last-but-not-least) the equipment you’ll need to start a hotel restaurant.